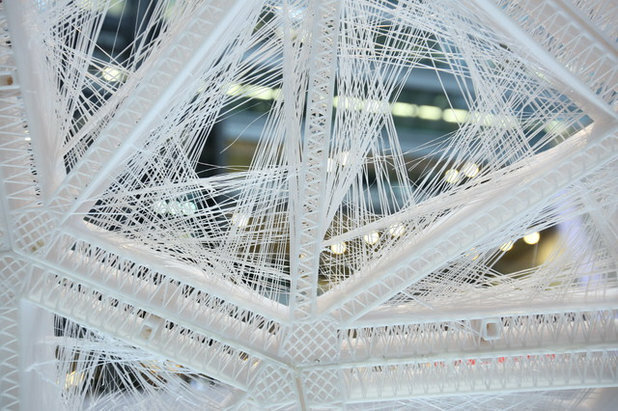 Designers worldwide are creating 3-D-printed buildings, furnishings and materials. Will we be seeing this trend in our own homes? Three-dimensional printing is one of the most talked-about technologies of this decade. Some consider it the beginning of the third industrial revolution, while others point out the constraints of the technique. Is 3-D printing changing our architecture, and is it the way we’ll design our homes in the future? Below, we look at the phenomenon of 3-D printing worldwide, including a delicate resin pavilion in China, classical-design-inspired concrete beams in Italy and buildings that “think” in Germany.